Following are issues that may occur when working with indexes in Flare. In Adobe PDF output, long index entries will not wrap in multi-column index layouts. 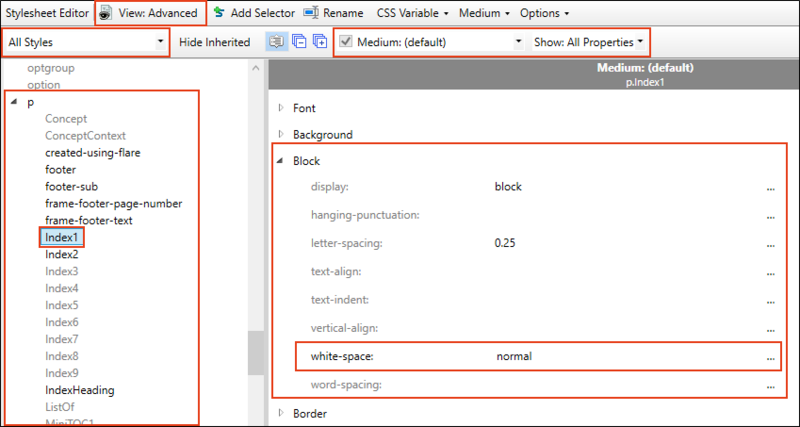 A CSS edit involving a change on the wrapping behavior of the p.Index styles can fix this issue. In the Medium field, make sure the medium you are using is selected. In the upper-left corner of the editor,select . On the left side of the editor, expand the p group. If you are using the grouped view, expand the Block group. Using the drop-down in the right column, change the white-space: nowrap property to white-space: normal. Repeat steps 7 through 9 for the styles p.Index2 through p.Index9. Review the generated output after making this change to ensure that there are no other undesired effects. This issue can occur when the binary index option in the skin settings is not selected. 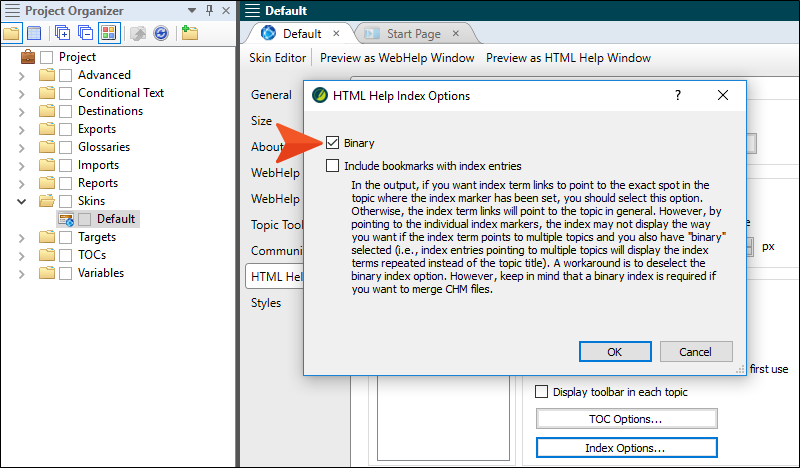 Microsoft HTML Help requires that all indexes in merged help systems have a binary index so that they can be properly merged. Perform the following steps for each project to ensure that the index is binary. In Project Organizer, navigate to the Skins folder. 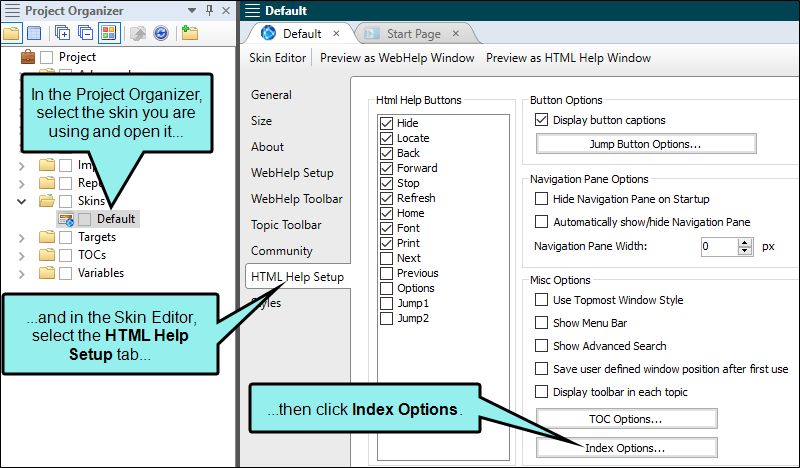 Open your skin and select the HTML Help Setup tab. Generate your merged HTML Help. For more information on this process, see Creating a Binary Index.